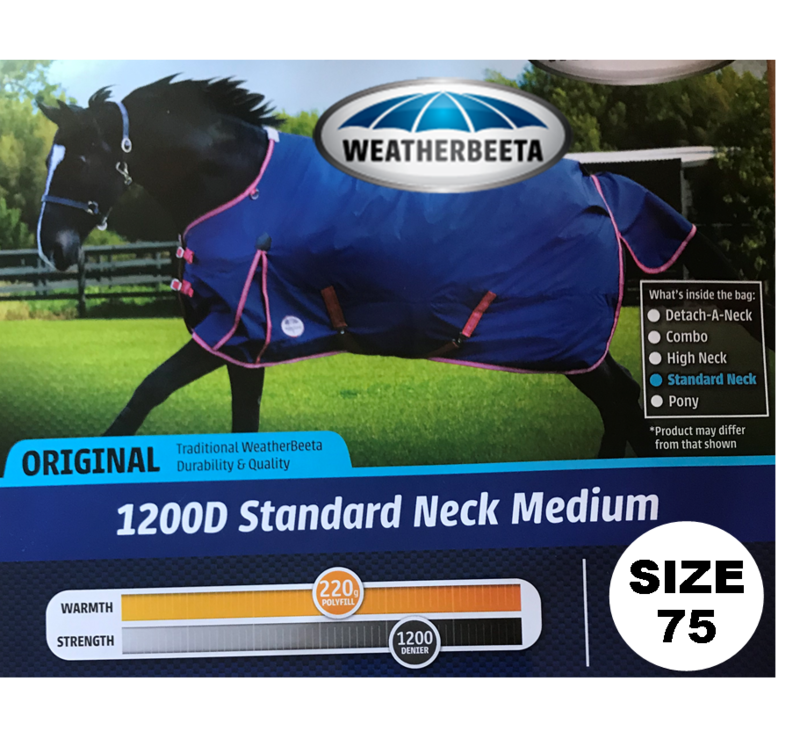 BRAND NEW Weatherbeeta Horse Blanket! SIZE 75 ONLY AVAILABLE - Weatherbeeta Original 1200D Standard Neck Medium Weight Turnout. All blankets are - BRAND NEW STILL IN BOX! Normally retails at $130 we are selling it at the discounted price of $75. We had a large donation come in and these 25 size 75 blankets we cannot use. This price IS A STEAL! ALL proceeds help horses in our care! BUY NOW WHILE STOCK LASTS!! !